SEATTLE, WA (June 27, 2017) — Seattle-based Therm-a-Rest has been helping extreme mountain athletes and explorers stay warm and comfortable at camp for decades. In 2018, Therm-a-Rest introduces a sleeping bag built to endure the coldest destinations known to man. Designed with polar explorer and mountaineer, Eric Larsen, the Polar Ranger™ -20F/-30C is the only bag you’ll need when going to sub-zero temps. Using 800-fill Nikwax Hydrophobic Down and ThermaCapture heat-trapping technology throughout the entire bag, the Polar Ranger is equipped with every essential you need for extreme-cold camping. Touches like overlapping draft tubes, side vents and a unique synthetic snorkel hood designed to funnel air in a way that keeps condensation from chilling your face, are just a few ways the Polar Ranger keeps you warm and secure at frigid camps. “On an expedition, aside from polar bears, my primary worry at night is warmth,” said Therm-a-Rest ambassador, Eric Larsen. “Having the right sleep system can mean life or death. Working with Therm-a-Rest to create the Polar Ranger meant years of their trusted technologies mixed with my polar expedition experience to create the best new negative-degree bag on the market.” Hear more from Eric Larsen on his experience with the Polar Ranger by following this link. The new extreme-weather sleeping bag weighs in at 3 lbs 3 oz in the regular size. Further features include top-zip entry, quilt and blanket loops for extra layering, SynergyLink™ connectors to integrate bag to mattress, and a Toe-asis™ foot warmer pocket. Step inside the new Polar Ranger -20F/-30C yourself at the OutDOOR Trade Show in Friedrichshafen this June and the Outdoor Retailer Summer Trade Show in Salt Lake City this July. 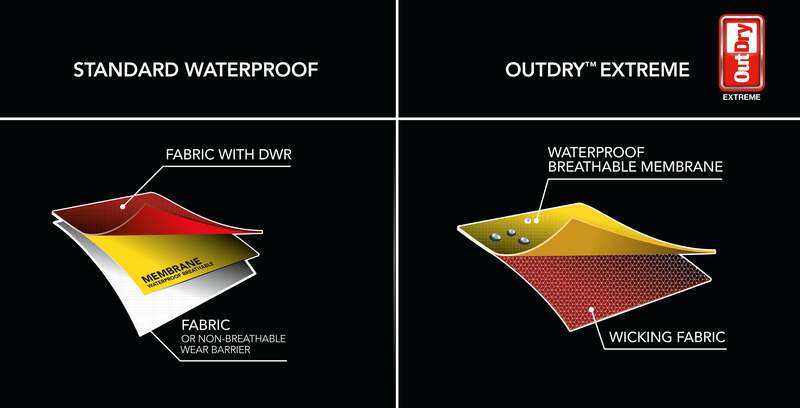 [800 Fill Nikwax Hydrophobic Down™: Dries 3 times faster than untreated down without using dangerous PFCs. ThermaCapture™ Lining: Full-coverage lining traps radiant body heat and retains warmth without adding bulk or weight. Additional features: Toe-asis™ Foot Warmer Pocket, Overstuffed draft tubes, Quilt and Blanket Loops.